The Continental Congress, after 16 months of debate and deliberations, forged the first U.S. Constitution on November 15, 1777. 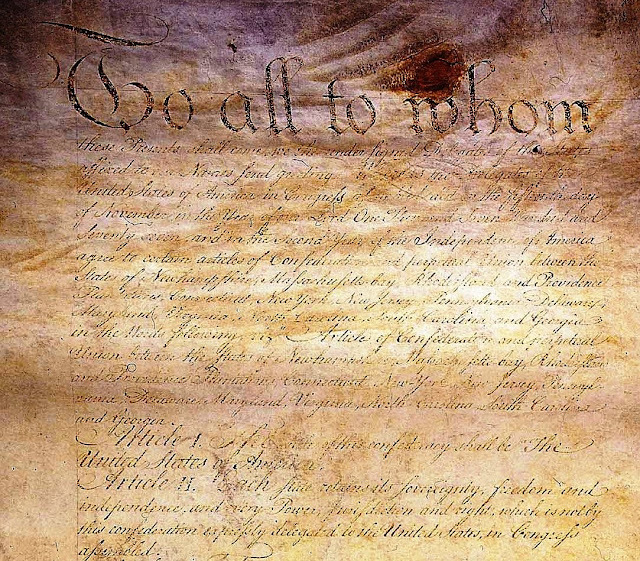 This Constitution of 1777 created one nation out of thirteen independent states and named it the United States of America "for their common defense, the security of their liberties, and their mutual and general welfare, binding themselves to assist each other, against all force offered to, or attacks made upon them..." Additionally the constitution guaranteed the freedom of citizens to pass freely between states, excluding "paupers, vagabonds, and fugitives from justice." All the people of the United States were also entitled, by the constitution, to the rights established by the State into which they traveled. If a crime were committed in one state and the perpetrator to flee to another state, the citizen would be extradited to and tried in the State in which the crime had been committed. The governing body under the Constitution of 1777 was unicameral. The judicial, legislative, and executive work of the federal government were all conducted through the United States in Congress Assembled (USCA). Parity was established in the USCA by allotting only one vote to each State, regardless of size, but delegations might have from two to seven members. Members of the USCA were elected or appointed by state legislatures and could serve no more than three out of any six years. For a state to cast a vote its delegation was required to have two or more delegates sitting in the USCA. Finally, the constitution ended with declaring that the Articles of Confederation are perpetual, and can only be altered by approval of Congress with ratification by all the state legislatures. The major flaw in the constitution was that the USCA had no taxing or intrastate trade authority. 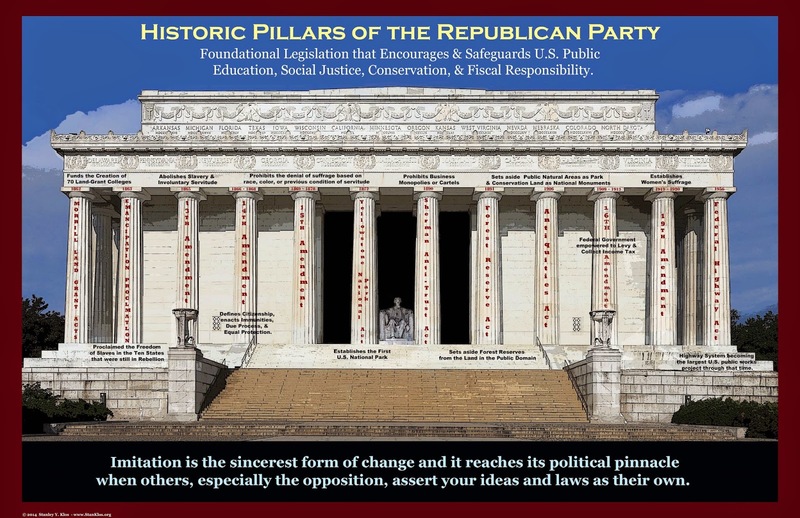 The constitution actually stated that the expenditures made by the USCA were to paid by funds raised by State legislatures and apportioned based on the real property values of each. Moreover, before this weak constitution could take effect, it required the unanimous ratification of all thirteen states. The result was that three full years later, in 1780, the first constitution was still not ratified. Maryland held the other states, constitutionally, hostage because it refused to adopt the Articles of Confederation until its 12 sister states relinquished all their western claims to the ownership and control of the USCA. 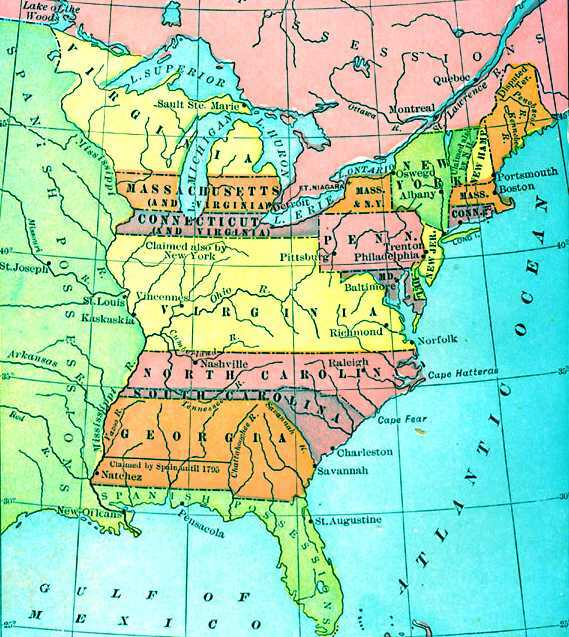 This Maryland Plan, even before the Articles of Confederation were passed by the U.S. Continental Congress in 1777, proposed that the USCA would have the sole right and power over the frontier lands “North and West of the Ohio River,” later known as the Northwest Territory. This measure, however, was heartily opposed by Virginia, New York, Connecticut, and Massachusetts who all had vast interior claims to the Northwest Territory. The Southern states of Georgia, South and North Carolina also had claims that stretched all the way to the Mississippi River. 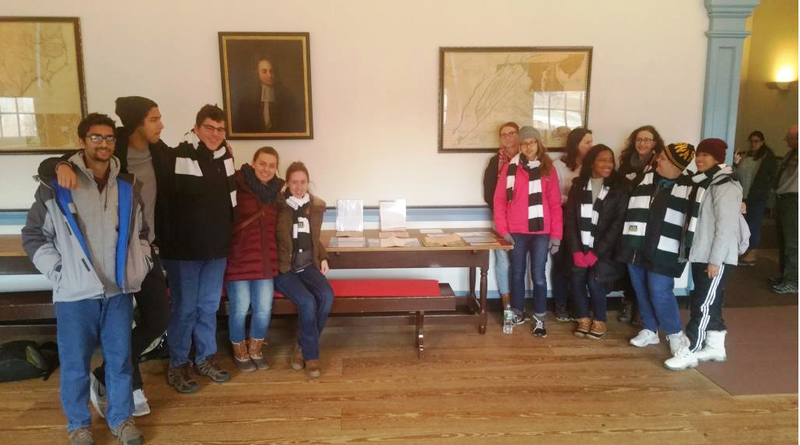 Maryland was alone but knowing that the constitution required state assembly ratification, its delegates approved the Articles of Confederation on November 15, 1777. The question of Northwest Territorial land claims was left to be considered by the individual state governments who were charged with the review and ratification of the Articles of Confederation. I. The Stile of this Confederacy shall be "The United States of America. 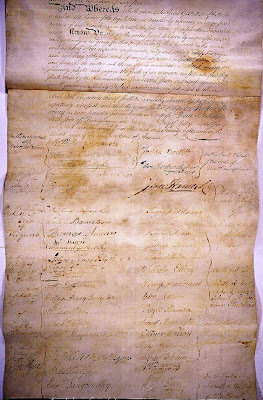 IN pursuance of an Act of the Legislature of Maryland, entitled, 'An Act to empow­er the Delegates of the State in Congress to subscriber and ratify the Articles of Confederation,' the Delegates of the said State, on Thursday last, at twelve o, signed and ratified the Articles of Confederation; by which act the Confederation of The United States Of America was completed, each and every of the Thirteen States, from New Hampshire to George, both included, having adopted and confirmed, and by their Delegates in Congress ratified the same. This happy event was immediately announced to the public by the discharge of the artillery on land, and the cannon of the shipping in the river Delaware. At two o’clock his Excellency the President of Congress received on this occasion the congratulations of the Hon. the Minister Plenipotentiary of France, and of the Legislative and Executive Bodies of this State, of the Civil and Military Officers, sundry strangers of distinction in town, and of many of the principal inhabitants. But all their Arguments were ably confuted by Mr. Burke of N.C. and others, and the absurdity of the motion fully pointed out, So that the question passed off without a Division - But it was the general Opinion of Congress that those members might Continue to Sit in Congress, and Debate & Serve on Committees though they could not give the vote of their States. It was unanimously agreed that the Articles of Confederation were in full force and for a state to have a vote in the USCA, unlike the Continental Congress, at least two delegates were required to cast the one state vote in Congress. 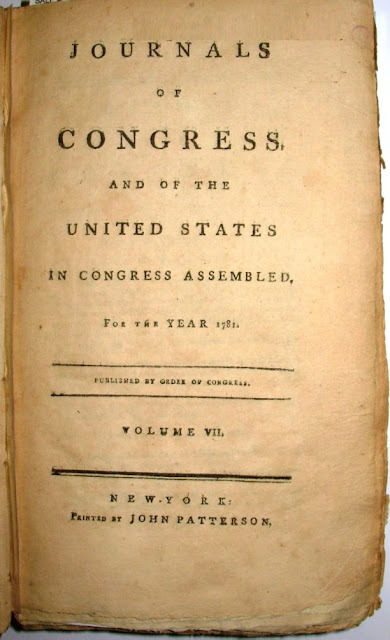 Several colleagues have pointed out the name “United States in Congress Assembled” (USCA)was used by U.S. Continental Congress on commissions before the ratification of the Articles of Confederation on March 1, 1781, as evidenced by signed John Jay and Samuel Huntington Presidential Commissions we have on our websites. Therefore, I have found it necessary to address this issue. The term, “United States in Congress Assembled,” then appears another 25 times in the Articles of Confederation. The name USCA was chosen by the delegates as opposed to the name Continental Congress, which was adopted on October 20, 1774 in the Articles of Association. The name USCA was chosen by the delegates as opposed to the name of a “General Congress” to manage the union’s “General Continental Business,” which was a name Benjamin Franklin proposed in his Articles of Confederation 1775 draft. 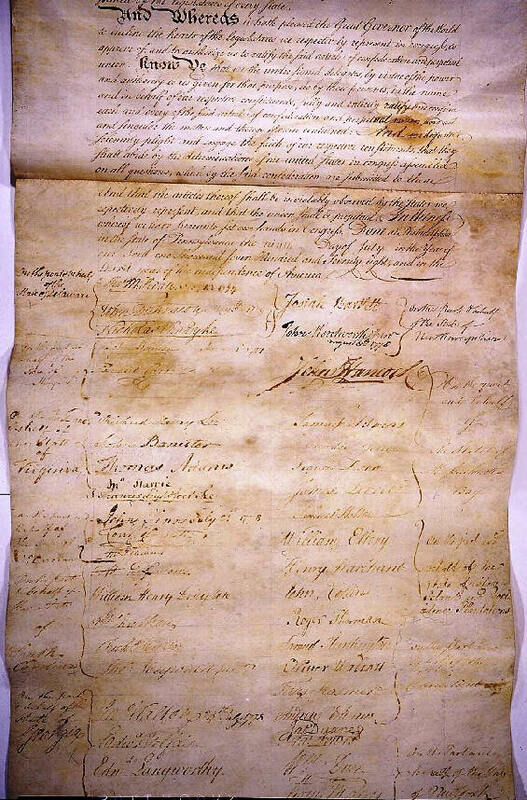 The name USCA was chosen by the delegates as opposed to the name United States Assembled, which was proposed in the Articles of Confederation July 12, 1776 draft. Resolved, That it be recommended to the several states to instruct their delegates to fix the period of such valuation. This is not, however, the end of the name story. To all to whom these presents shall come: We, the undersigned delegates of the states affixed to our names send greeting. We, reposing special trust and confidence in your patriotism, valour, conduct and fidelity, do, by these presents, constitute and appoint you to be in the army of the United States; you are therefore carefully and diligently to discharge the duty of by doing and performing all manner of things thereunto belonging. And we do strictly charge and require all officers and soldiers under your command to be obedient to your orders as; and you are to observe and follow such orders and directions, from time to time, as you shah receive from this or a future Congress of the United States, or a committee of Congress for that purpose appointed, or a committee of the states, or commander in chief for the time being of the army of the United States, or any other your superior officer, according to the rules and discipline of war, in pursuance of the trust reposed in you. This commission to continue in force until revoked by this or a future Congress, the committee of Congress before mentioned, or a committee of the states. Dated at the day of 17; and in the year of our independence. These Commissions were issued beginning with John Jay and ending with Griffin (see Laurens, Jay, and Griffin Commissions for similarities and differences). We, reposing especial trust and confidence in your patriotism, ability, conduct and fidelity, do by these presents constitute and appoint you during our pleasure, secretary to our minister plenipotentiary appointed to you are therefore carefully and diligently to discharge the duty of secretary, by doing and performing all things thereunto belonging. And in case of the death of our said minister, you are to signify it to us by the earliest opportunity; and on such event, we authorize and direct you to take into your charge all our publick affairs, which were in the hands of our said minister at the time of his death, or which may be addressed to him before notice thereof, and proceed therein according to the instructions to our said minister given, until our further orders. Letter to our great and beloved Friend Charles. The United States of America in Congress assembled, deeply impressed with a high sense of the Magnanimity of your Majesty, and of your friendly disposition towards these States, and having an earnest desire to improve into a firm and lasting Alliance such friendly disposition have appointed, to reside at your Court in quality of Minister Plenipotentiary, that he may give you more particular assurances of the high regard we entertain for your Majesty. We beseech your Majesty to give entire credit to every thing he shall deliver on our part especially when he shall assure you of the Sincerity of our Friendship, and we pray God that he will keep your Majesty in his most holy protection. Know Ye, therefore, That we, confiding in the integrity, prudence and ability of the Honourable Henry Laurens, Esquire, delegate from the State of South Carolina, and formerly President of Congress, have nominated, constituted and appointed, and by these presents do nominate, constitute and appoint him the said Henry Laurens our commissioner, giving him full power, general and special, to act in that quality, to confer, treat, agree and conclude with the person or persons vested with equal powers, by the States General, of the said United Provinces of and concerning a treaty of Amity and Commerce. And whatever shall be so agreed and concluded for us and in our names, to sign, and thereupon make such treaty, conventions, and agreements, as he shall judge conformable to the ends we have in view; hereby promising in good faith, that we will accept, ratify and execute whatever shall be agreed, concluded and signed by our said Commissioner. Know you, that, reposing special trust and confidence in your patriotism learning, prudence, integrity, and abilities, we have assigned, deputed, and appointed you one of our judges of our Court of Appeals, to hear, try, and determine all appeals from the courts of admiralty, in the states respectively, in cases of capture, upon the water which now are, or hereafter may be duly entered and made in any of the said states; and to do generally all those things that you are or shall be authorized and empowered by Congress to do and perform, and which shall be necessary in and about the premises for the execution of the said office, according to the law and usage of nations and the acts of Congress; to have, hold, exercise, and enjoy, all and singular, the powers, authorities, and jurisdictions aforesaid; and also the privileges, benefits, emoluments, and advantages to the said office belonging, or in any wise appertaining. 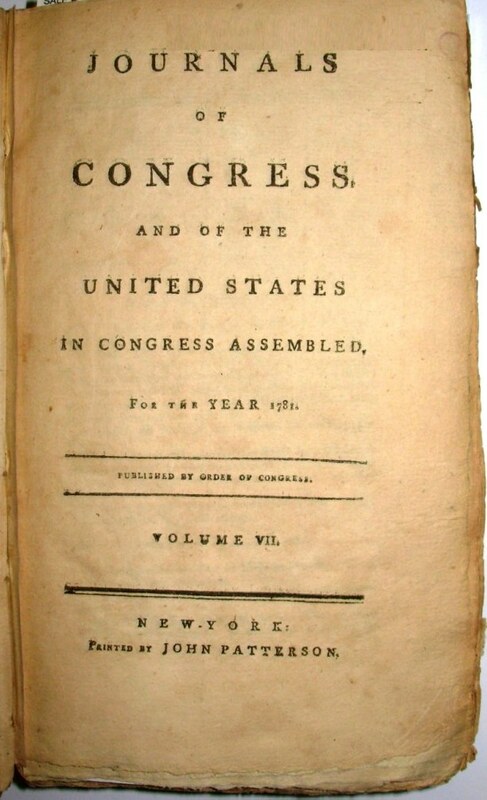 The United States of America in Congress assembled to Greeting: We, reposing especial trust and confidence in your valour, conduct and fidelity, do by these presents constitute and appoint you to bein the navy of the United States, to take rank from theYou are therefore carefully and diligently to discharge the duties of by doing and performing all manner of things thereunto belonging. 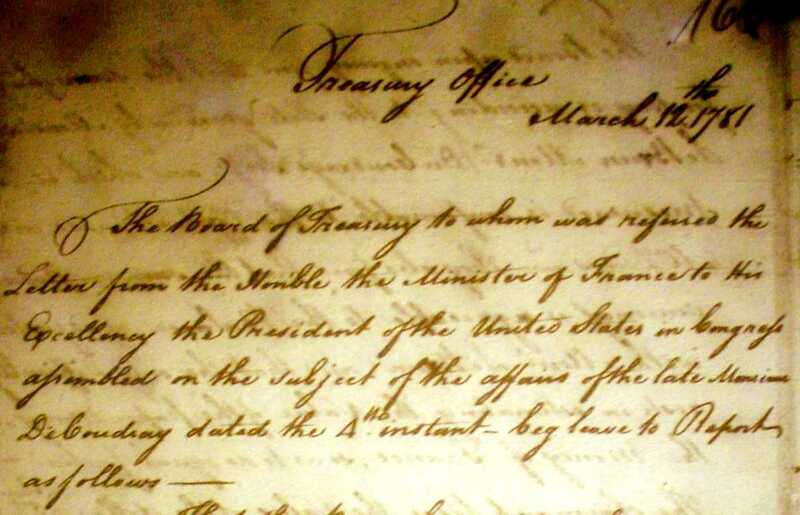 And we do strictly charge and require all officers, marines, and seamen under your command to be obedient to your orders as And you are to observe and follow such orders and directions, from time to time, as you shall receive from Congress, a committee of the states, the Board of Admiralty, Commander in Chief, for the time being, of the navy of the United States, or any other your superior officer, according to the rules and discipline of the navy, and the usage of the sea. This commission to continue in force until revoked by Congress or a committee of the states. On June 20, 1780 they adopt the language for THE COMMISSION TO JOHN ADAMS, ESQUIRE. The United States of America in Congress assembled, to the Honourable John Adams, Esquire, Greeting. Whereas by our commission to the honourable Henry Laurens, esquire, bearing date the 30th day of October, in the year of our Lord, 1779, we have constituted and appointed him the said Henry Laurens, during our pleasure, our agent for and on behalf of the said United States, to negotiate a loan with any person or persons, bodies politick and corporate: And whereas the said Henry Laurens has, by unavoidable accidents, been hitherto prevented from proceeding on the said agency: We, therefore, reposing especial trust and confidence in your patriotism, ability, conduct and fidelity, do by these presents constitute and appoint you the said John Adams, until the said Henry Laurens, or some other person appointed in his stead, shall arrive in Europe, and undertake the execution of the aforesaid commission, our agent for and on behalf of the said United States, to negotiate a loan with any person or persons, bodies politick and corporate, promising in good faith to ratify and confirm whatsoever shall by you be done in the premises, or relating thereunto. Resolved, That all Neutral vessels have by the Law of Nations a right to navigate freely to and from the ports and on the coasts of powers at war, when not prohibited by treaty or municipal law. The United States of New Hampshire, Massachusetts Bay, Rhode Island and Providence Plantations, Connecticut, New York, New Jersey, Pennsylvania, Delaware, Maryland, Virginia, North Carolina, South Carolina and Georgia, in Congress assembled--To all who shall see these presents, send greeting. Great and beloved friend and ally, The United States of America in Congress assembled, impressed with the magnanimity of your Majesty, and of the repeated proofs you have given of your friendly disposition towards these states, and also feeling the necessity of giving your Majesty full information of the present state of our affairs, have appointed the honourable John Laurens, esquire, a lieutenant colonel in the army of these states, to repair to your court, in quality of minister, to solicit the aids requested by us; and that he may give your Majesty more particular and further assurances of the high regard we continue to entertain for your Majesty. We beseech your Majesty to give entire credit to everything he shall deliver on our part, especially when he shall assure you of the sincerity of our friendship. And we pray God that he will keep your Majesty in his most holy protection. 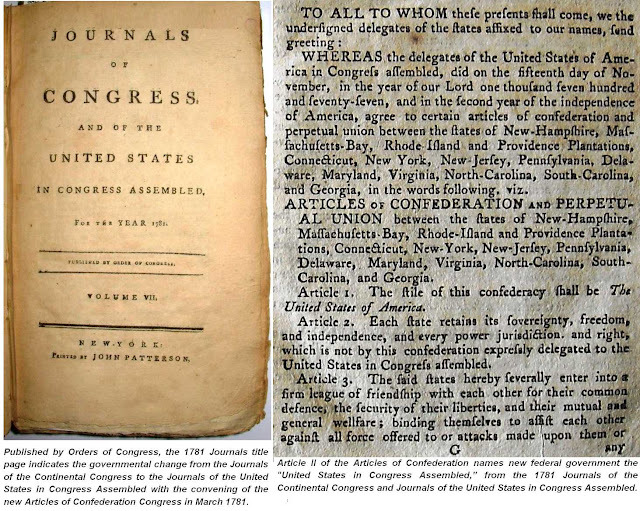 From this point until March 1, 1789 the Journals are silent on United States of America in Congress assembled. What is important to here is that none of the resolutions, commissions, and letters from Congress refer to the U.S. Continental Congress governing body as the “United States in Congress Assembled.” Additionally, numerous U.S. Continental Congress resolutions, commissions, and letters use conflicting terms for governing body: United States of America in Congress assembled, Congress of the United States of America, Congress of the United States of North America, General Continental Congress, etc… . On March 2, 1781 the term “United States in Congress Assembled” appears at the head of the Journals on that date and after that within most, if not all, public USCA resolutions the term is used exhaustively. 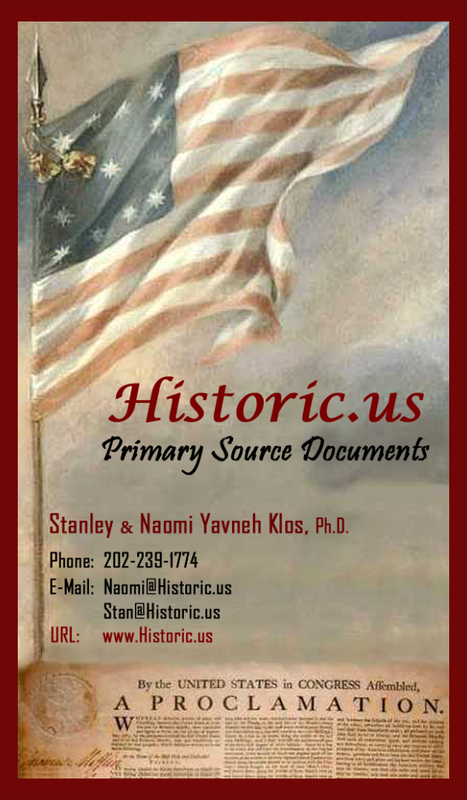 The term developed by the Continental Congress, “United States of America in Congress assembled,” has very limited use being relegated mostly to the commissions and other federal appointment documents approved by the U.S. Continental Congress from 1778-1780. 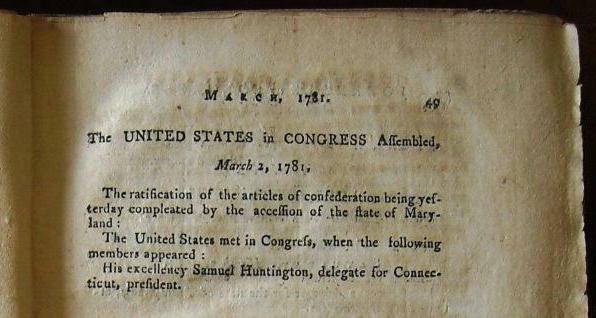 Therefore it is proper to use the term “Continental Congress”  for the pre-March 1, 1781 governing body and the term “United States in Congressed Assembled”  for the post March 1, 1781 unicameral governing body of the United States of America under the Articles of Confederation. At sunset on the evening of March 3, 1789, the Articles of Confederation Union was fired out by thirteen guns from the Federal Fort opposite Bowling Green in New York. On Wednesday, the 4th, the new era was ushered in by the firing of eleven guns in honor of the eleven States that had adopted the Constitution. The States of Rhode Island and North Carolina were now severed from the American Union and were as independent of each other as England and France.